How big of a threat is Al-Shabaab to the United States? (CNN) How big a threat is Al-Shabaab to the United States? Despite the Somali terrorist group’s calls over the weekend for attacks on malls in the West, including the vast Mall of America in Minnesota, the group isn’t much of a threat at all to Americans. The reality is that Al-Shabaab has shown scant abilities to conduct operations outside of Somalia or neighboring countries such as Kenya. 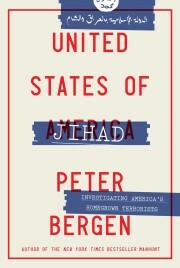 Indeed, the only operation anyone associated with the group has attempted in the West is when a Somali man armed with an ax in 2010 forced himself into the home of Kurt Westergaard — a Danish cartoonist who had depicted the Prophet Mohammed with a bomb in his turban — and tried unsuccessfully to break into the fortified safe room where Westergaard was hiding. Danish intelligence officials said the suspect had links with Al-Shabaab. 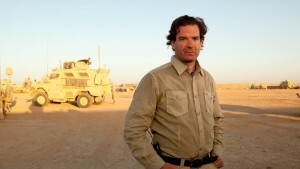 Peter Bergen on location in Afghanistan. That said, the group has succeeded in recruiting a number of Americans to fight in Somalia, most of whom are from Minnesota. Seven Somali-American men traveled from Minnesota to Somalia to fight for Al-Shabaab in late 2007, including Shirwa Ahmed, who graduated from high school in Minneapolis and then worked at the Minneapolis airport pushing passengers in wheelchairs. During this period, he became increasingly religious, and in his spare time, he would counsel drunken Somali kids in the impoverished area of Minneapolis known as “Little Mogadishu,” after the Somali capital, to embrace their own culture. Ahmed left Minneapolis for good on December 4, 2007, on a flight that took him to Saudi Arabia, from where he eventually made his way to Somalia. In Somalia, he was trained by Al-Shabaab on the use of a wide variety of guns and weapons. On October 29, 2008, he drove a truck loaded with explosives toward a government compound in Puntland, northern Somalia, blowing himself up and killing 20 other people, becoming what then-FBI director Robert Mueller described as the first U.S. citizen to conduct a terrorist suicide bombing. Ahmed’s suicide caused considerable consternation at the FBI. If an American citizen was willing to die in a suicide operation overseas, what might that say about the possibility of Americans conducting suicidal attacks in the States? One only had to look at the British experience to understand how this could develop. In 2003, a British citizen had conducted a suicide bombing at a jazz club frequented by Americans in Tel Aviv, Israel. This turned out to be something of a curtain-raiser for future terrorist attacks in the United Kingdom. Two years after the terrorist attack in Israel, four British citizens committed suicide in bombings on London’s transportation system on July 7, 2005. It was the most deadly terrorist attack ever on British soil, claiming 52 lives. Alarmed by Al-Shabaab’s campaign of suicide attacks across Somalia and its recruitment of Americans, the State Department designated the group as a foreign terrorist organization in March 2008, making it illegal for a person in the United States to knowingly provide Al-Shabaab with money, communications equipment, weapons or explosives or to join the group. By 2008, the Somali-Americans traveling to their homeland to join the al Qaeda aligned Al-Shabaab seemed like a particularly threatening cohort. Codenamed Operation Rhino, the FBI started a serious effort to crack down on anyone traveling to Somalia to support Al-Shabaab. Adding to the alarm at the FBI, in early June 2011, the agency announced that Farah Mohamed Beledi, from Minneapolis, had detonated a bomb, becoming one of two suicide attackers responsible for killing two African Union soldiers in Somalia. The third American to conduct a suicide attack was Abdisalan Hussein Ali, a 22-year-old from Minneapolis who took part in a strike on African Union troops in Mogadishu on October 29, 2011. There may even have been a fourth American suicide attacker in Somalia. On September 17, 2009, two stolen U.N. vehicles loaded with bombs blew up at Mogadishu airport, killing more than a dozen peacekeepers of the African Union. The FBI suspected that 18-year-old Omar Mohamud of Seattle was one of the bombers. But Al-Shabaab’s American support network has extended beyond Minnesota. Ruben Shumpert, an African-American convert to Islam from Seattle, was killed in Somalia in 2008. And a former U.S. soldier from Maryland, Craig Baxam, was arrested by Kenyan authorities in 2011 as he tried to make his way to Somalia to join Al-Shabaab, which he told FBI agents he considered to be a religious duty. Still, despite these developments, for the Americans who traveled to Somalia to fight for Al-Shabaab, it has typically been a one-way ticket. More than a dozen Americans have died while fighting for Al- Shabaab, according to a U.S. House Committee on Homeland Security report, while none of the Americans recruited by Al-Shabaab is known to have subsequently planned or conducted a terrorist attack inside the United States, according to a survey of more than 250 jihadist terrorism cases since the 9/11 attacks conducted by New America. The possibility remains, of course, that Al-Shabaab’s calls for attack on malls in the West might inspire a lone wolf attack. But there is no sign so far that Al-Shabaab’s recruits have actually plotted to launch an attack in the United States. For now, at least, the group has also not shown that it is capable of carrying out attacks in the West.